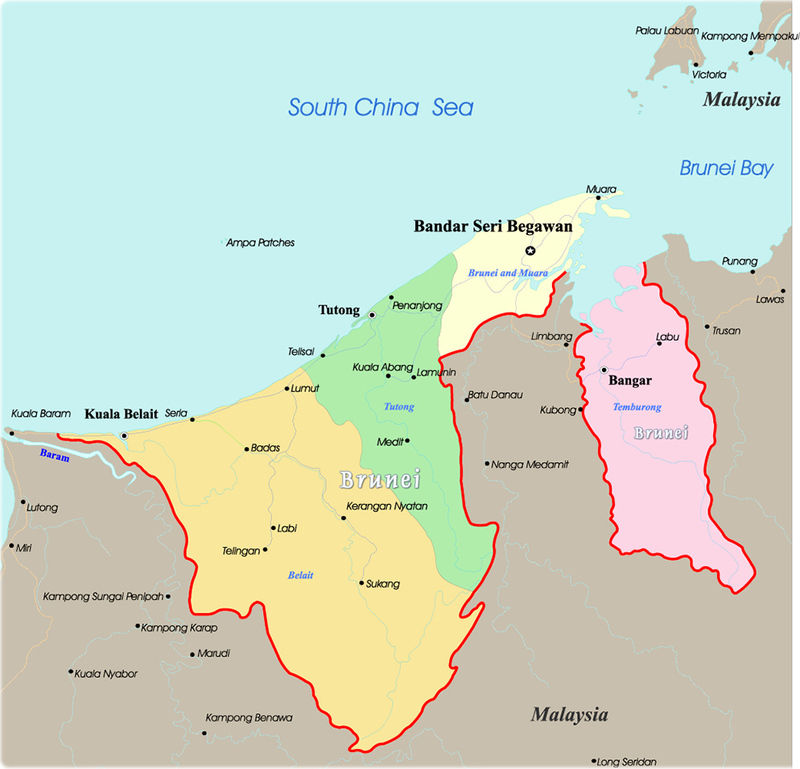 The Kingdom of Brunei is a country located on the northern coast of the island of Borneo, in eastern Asia, bounded on the north by the South China Sea, and on all other sides by the Malaysian state of Sarawak, which also divides the country into two parts. The total area is 5,765 km². Brunei is governed under a constitution promulgated in 1959, as amended. Under the constitution, executive authority is held by the Council of Ministers, which is presided over by the sultan of Brunei, and by the chief minister, who is responsible to the sultan. Since 1962, however, the sultan has ruled by decree.